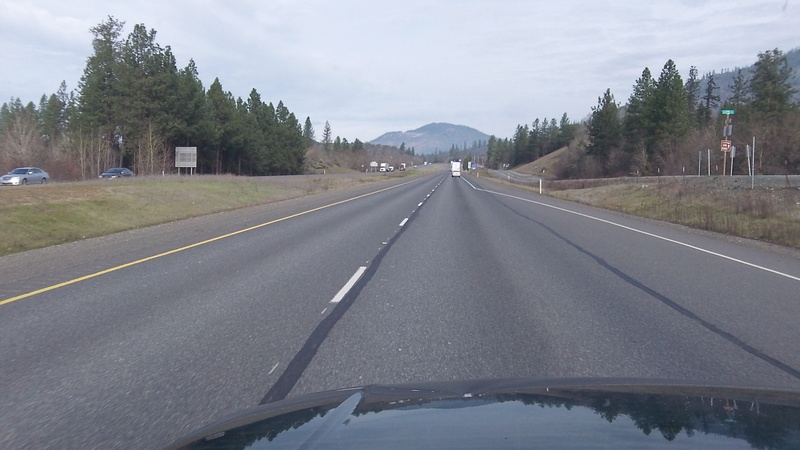 The open road: Oregon barred sobriety checkpoints in 1987. On Monday morning, the state Senate Business and Transportation Committee will consider a bill to allow roadblocks to check if drivers are impaired by alcohol or drugs. The legalization of recreational marijuana adds a new wrinkle to the old debate about sobriety checkpoints, but we still don’t need them. The bill on Monday’s agenda is SB 13 by Sen. Rod Monroe, a Portland Democrat who has tried to legalize these checkpoints for years. This year, along with SB 13, he proposed HJR 3, a constitutional amendment, without which the bill alone would be pointless. The Oregon Supreme Court ruled in 1987 that sobriety checkpoints violate the state constitution. In1990, the U.S. Supreme Court found that the practice did not violate the federal guarantee against unreasonable search and seizure, but the Oregon ban was unaffected. Also in 1990, the National Highway Traffic Safety Administration published guidelines for how checkpoints should be conducted, and Monroe’s bill would require Oregon police to follow those. The federal guide says that to be federally constitutional, checkpoints either have to stop and question all drivers coming through, or they must pick a “nondiscretional” sample, such as every 10th one. Officers are to ask drivers if they have had any alcohol or controlled substance today. If they say no and officers see or smell nothing to doubt them, the motorists are to be allowed to go on. If there’s any indication of being impaired, the driver is to be asked to step out of the car, the car is to be moved by someone else to a safe spot out of the driving lane, and the driver is to be given the standard tests for being drunk or impaired. So if your eyes are bloodshot because you’ve had a sleepless night, you might be singled out and asked to perform tricks like standing on one foot or bringing your right index finger to the tip of your nose. Or this might happen if your fingers “fumbled,” perhaps because all the flashing lights made you jittery. By the way, the guidelines call for the police to give the media advance notice of plannned roadblocks, and the press presumably would make this information public. That would be one more reason for habitual drunks to read the local papers or check online. That would be an upside. Also, avoiding a roadblock would be no reason for the police to chase you down. The guidelines are specific: If a driver, seeing a roadblock, turns around without committing a traffic violation, the police have no legal reason for pursuit. Isn’t this a rehash (no pun intended) of the same issue publicly debated in the 70’s with particular regard to alcohol? Don’t the same findings and rulings prevail? What as reported here about them, seem lacking? We have a right to probable cause requirements. That was settled long ago. Do we need an increased dominance over us by government to be better people? If the current guidelines aren’t good enough for today, someone will need to tell me why. A good Prog never gives up! Monroe is a good Prog. Perhaps what we really need is an “Impaired Legislator” blockage. Set up checkpoints at random entrances to the capitol and check legislators for lack of cognitive thinking ability when they seek entry. The operative assumption is that they are impaired unless proven otherwise. Signs of impaired thinking would be, for example: wearing a “Kitzhaber for Governor” button, possession of a campaign speech, and most certainly any “Go Ducks” insignia. This just emphasizes once again, Will Rogers comment to the effect that we were all in danger as long as the legislature is in session. I was with you until you unwisely brought the Ducks into your argument. Just as many Duck fans have common sense as Beaver fans, maybe more. You owe Duck fans an apology for that one, Warren. How about, “Duck fans don’t have much of a sense of humor either”, James. Just jerking your chain a little; as you were probably doing to me as well. I’ll give you the benefit of the doubt even though you’re a Duck fan. Just leave your sports loyalties at the door when you start talking politics. You seemed to be insinuating Duck fans are more liberal than Beaver fans. A generation or two ago, that may have been true. It’s not any more. Just look at last years election results on a precinct by precinct basis. Corvallis is every bit as “blue” as Eugene these days in case your own eyes don’t tell you so. That old stereotype is now only a myth. I have no desire to live in either of those two “People’s Democratic Republics.” Linn County and Albany are just fine with me. Liberals want a “living” constitution, and in this case they got it – from conservatives. Will Oregon adopt the DUI exception in its constitution? I hope not. Driving drunk is an essential liberty? Not in my book! I NEVER said that, nor did Franklin make that claim, and for you to twist Franklin’s quote, while ignoring his admonition is VERY disingenuous, Ray. I was referring to the “liberty” that requires probable cause. Surely as a public servant you can do better than that. You’re sure not fostering much confidence in your suitability for your post on the council. Apparently you think we should be “like California”? There’s a reason they are fleeing their state.